FRANCIS MARION VAUSE was born on 4 July 1844 in South Carolina, the third of ten children born to Ephraim Vause and his wife Margaret Maria Revell Vause. The Vause family moved from Darlington County, South Carolina to Wakulla County, Florida in December 1854. In 1861 at age 17, Francis Marion “Med” enlisted in Company D, 3rd Regiment, Florida Infantry at Ft. Clinch, Florida. 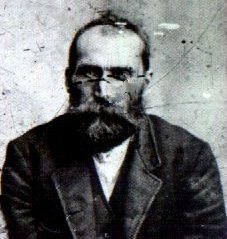 Med was captured at Jonesboro, Georgia on 5 September 1864 and held prisoner until the end of the war. Med married Antoinette “Ann” Maria Kersey in 1866. She was born on 2 January 1842 in Georgia, the daughter of Cader and Elizabeth Kersey. Med and Ann had eight children. Ann died in September 1903 and is buried in Wewahitchka, Gulf County, Florida. On 11 October 1905 in Wakulla County, Med married Mattie Powell. Med died on 30 April 1914. He is buried in Arran Cemetery, Wakulla County, Florida and has a Confederate marker on his grave.